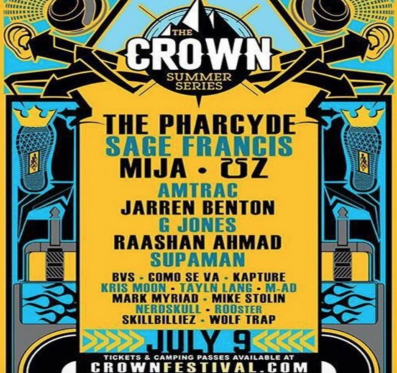 The Pharcyde | This Saturday July 9 – Crown Summer Series Festival This Saturday! This Saturday July 9 – Crown Summer Series Festival This Saturday! ​Montana! We are getting ready to head out there for the new @CrownSummerSeries festival taking place this Saturday July 9. We’re excited to see you all there, don’t forget @SageFrancis will be there along with other special guests. See you soon! For more info on this show click here. ***We’d love to see your photos of the show, so please allow us to do so by using the following hashtags #pharcyde #thepharcyde and #crownsummerseries.